Just outside the city of Spruce Grove Alberta, is the studio of Heather Baumgardner & HB Leather. From the time Heather could ride, she dreamt of owning her own ranch… from the pencil sketches of a small child to the hand carved leather that is the signature of HB Leather, Heather has aspired to her lifelong dream – living the Western Lifestyle. With her husband of 26 years, Heather lives on a small ranch with buffalo, cattle, and a small herd of horses in training for Cowhorse futurities and aged events. Focused on the Working Cowhorse discipline, Heather relies on her experience as a competitive rider to build high quality chaps, bridles and western tack. 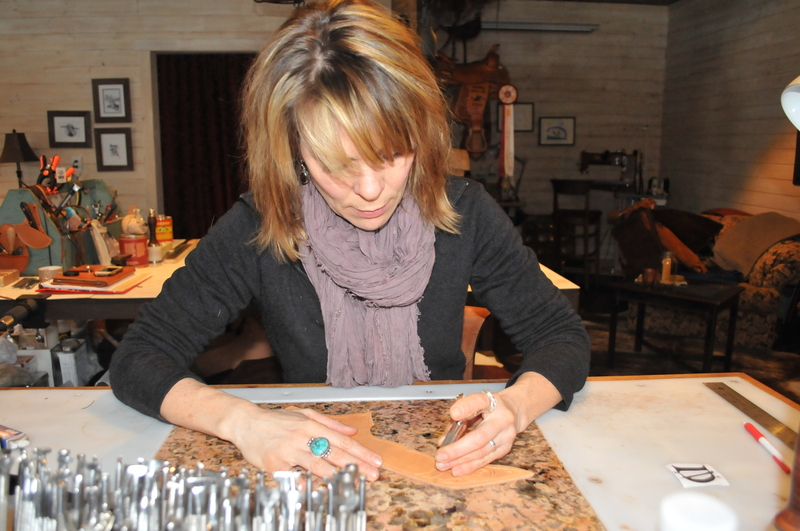 With a commitment to quality, Heather looks to bring her unique perspective to each hand tooled piece. A twist of modern day design, and old craftsmen tradition, Heather takes great pride in each custom piece.